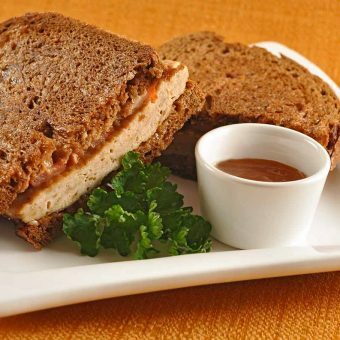 Browse our sandwich recipes for delicious burgers, steak sandwiches, grilled cheese, chicken and fish sandwiches, hot dogs, subs, hoagies and more. 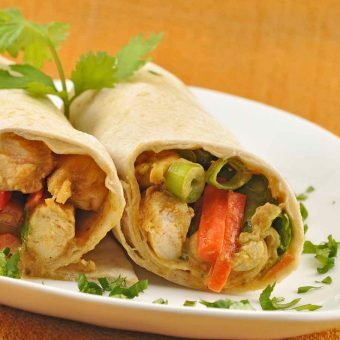 These delicious wraps are filled with fragrant, tandoori-spiced chicken, crunchy carrots and peppers and a pungent chutney-yogurt sauce. 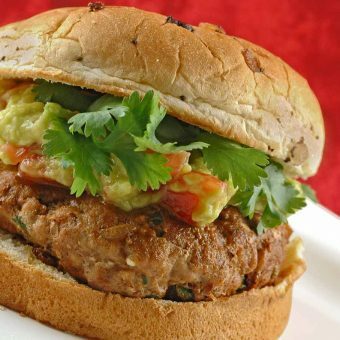 Well-seasoned turkey burgers, grilled and served on a soft bun, topped with spicy guacamole and sprigs of fresh cilantro make a delicious, economical weeknight dinner. A uniquely flavored take on a patty melt made with ground chicken, curry, ginger, mango chutney and brie. 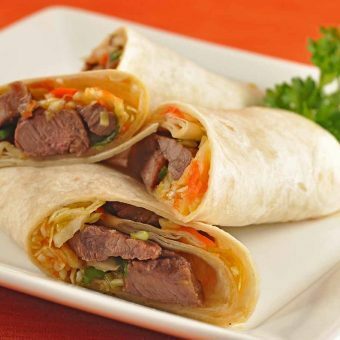 These quick and easy Asian-style beef wraps use jalapeno jelly and fresh ginger for a delicious kick. 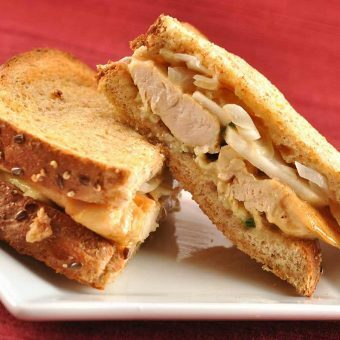 These yummy oven-grilled chicken and Camembert sandwiches get a flavor boost from fresh apples, sauteed onions, fresh thyme and a drizzle of honey. 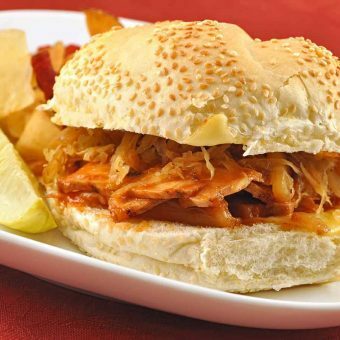 These quick and easy sandwiches are made with thinly sliced roast pork in a sweet-sour sauce and topped with a warm apple-onion slaw. 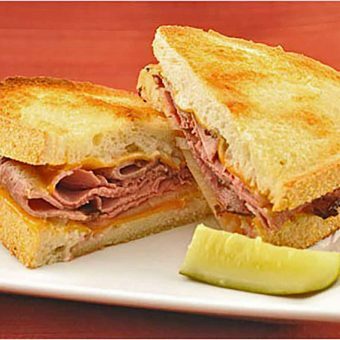 A creamy spread made with sauteed garlic, shallots, sour cream and horseradish adds great flavor to these oven-griled roast beef and cheddar sandwiches. 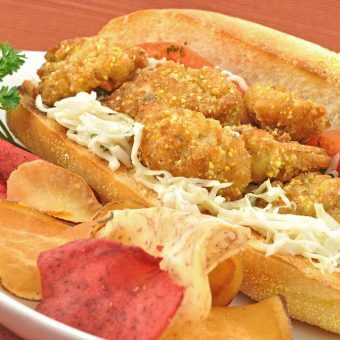 The sandwich gets elevated to a new level when you pan fry a batch of fresh oysters and team them up with juicy tomatoes and a yummy garlic-onion slaw.